Is Delhi prepared to handle its e-waste? By 2020, Delhi-National Capital will generate 1,50,000 metric tonnes (MT) of e-waste. According to latest findings by The Associated Chambers of Commerce of India (ASSOCHAM) Council on Climate Change & Environment, this is a two-fold rise at a compound annual growth rate of about 25 per cent from the current level of 85,000 MT. The study states that computer equipment account for almost 68 per cent of e-waste followed by telecommunication equipment (12 per cent), electrical equipment (8 per cent) and medical equipment (7 per cent). Other equipment, including household e-scrap, accounts for the remaining 5 per cent. 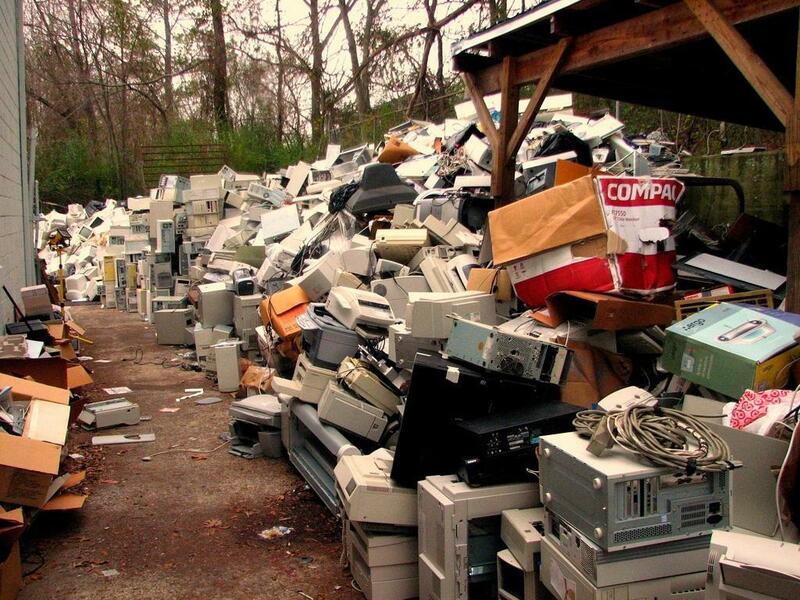 Thus, discarded computer monitors, motherboards, cathode ray tubes, printed circuit board, mobile phones and chargers, compact discs, headphones, white goods such as plasma televisions, air conditioners, and refrigerators constitutes e-waste. The question is can Delhi manage this waste? The Ministry of Environment, Forest and Climate Change rolled out the E-waste (Management) Rules in 2016 to reduce e-waste production and increase recycling. The rules were amended in 2017 and introduced Extended Producers Responsibility (EPR) which makes producers liable to collect 10 per cent to 70 per cent of the e-waste they produce over seven years. The industry is unable to cope up with these targets as a mere 1.5 per cent of India's total e-waste gets recycled and over 95 per cent of e-waste generated is managed by the unorganised sector, such as repair shops, used product dealers and e-commerce portal vendors, adds the study. E-waste accounts for approximately 40 per cent of the lead and 70 per cent of heavy metals found in landfills. These pollutants lead to ground water and air pollution and soil acidification. High and prolonged exposure to these chemicals/ pollutants emitted during unsafe e-waste recycling damages nervous systems, blood systems, kidneys and brain development, and can cause respiratory, skin disorders, bronchitis, lung cancer, heart, liver, and spleen damage, added the study. The government and waste generators should take a coherent approach. “Any systemic and sustainable solution to India's e-waste problem will need to include formalisation and integration of unorganised channels of e-waste collection. This transition will affect a huge number of livelihoods dependent on the sector and have considerable economic, social and environmental impact. The significant presence of informal waste pickers and aggregators also offers a great opportunity because of their reach across the country which is currently unmatched by any formal channel,” says Pranshu Singhal, founder, Karo Sambhav Private Limited. The road to inclusion of informal sector in the formal includes challenges such as a significant difference between the selling price of the informal players and the buying price of the authorised recyclers, lack of transparency and tracking of e-waste sent to recyclers, skilled task force and inadvertent leaking of e-waste to informal sectors by authorised recyclers, according to a study by Karo Sambhav. The informal sector can be incorporated in the e-waste management plan by assisting them in capacity building, imparting skills and knowledge (scientific methodology), process know-how and incentivising. It is also important to bring more key stakeholders, such as bulk consumers (government institutions, offices, hospitals, schools) into the formal e-waste collection channel. This will help not only in streamlining complex e-waste flow, create job opportunities and spur economic growth but also assist in curtailing activities which are detrimental to environmental and human health. I think Delhi is well prepared to handle all this, there are a lot of renowned recyclers in delhi, just google them, even i know one Exigo Recycling http://exigorecycling.com who manage ewaste very well. We have some great initiatives like Pick My Trash which ensure that your e-waste is scientifically recycled by authorised recyclers, and we can handover our recyclable waste to them and make sure they don’t end up polluting our environment. We all need to manage and dispose off our e-waste responsibly to ensure that we live a healthy life on a healthy planet.